AEG, the world’s leading sports and live entertainment company, and Cyndi Lauper’s True Colors Fund today announced a new partnership to raise awareness to prevent and end homelessness among lesbian, gay, bisexual, and transgender youth. The partnership reaffirms AEG’s commitment to diversity and inclusion and its long-established practice to improve the lives of youth in the communities where the company does business. AEG will work with the True Colors Fund to develop, produce and distribute a national PSA ad campaign focused on raising awareness of the issue of LGBTQ youth homelessness. AEG will distribute the PSA in its arenas throughout the United States including STAPLES Center and on AXS TV, as well as post the PSA on its social media channels, driving awareness for the initiative. 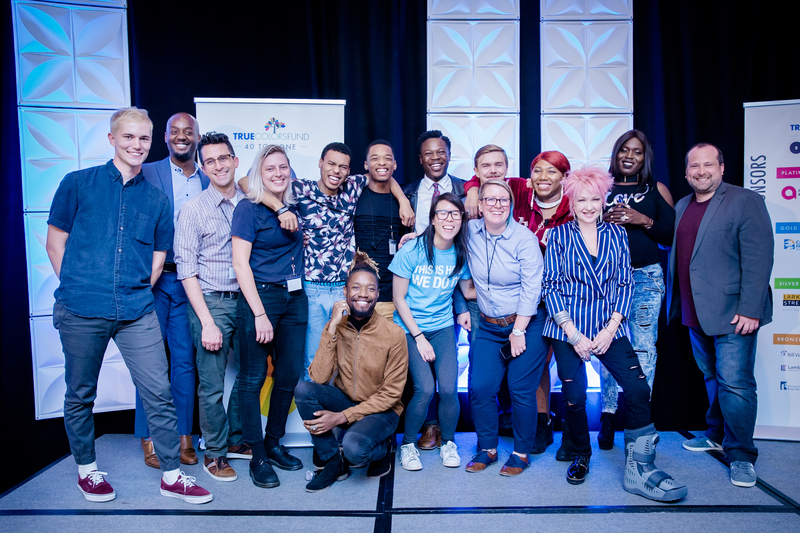 AEG will become a sponsor of True Colors Fund’s True Fellowship program by supporting its True Production Fellowship, which offers a young person the opportunity to co-coordinate an event dedicated to the issues surrounding LGBTQ youth homelessness. This True Fellow gains valuable experience in large-scale event production and peer collaboration. On June 5, 2018, AEG will host a discussion with Gregory Lewis, the Executive Director and CEO of True Colors Fund, at the GRAMMY Museum at L.A. LIVE for its U.S. employee workforce that focuses on the work that True Colors Fund is doing to prevent and end homelessness among LGBTQ youth. "I am honored to join AEG today to announce our partnership in the effort to prevent and end LGBTQ youth homelessness in America," said Gregory Lewis, Executive Director & CEO of the True Colors Fund. "AEG's growing commitment to the True Colors Fund will make a vital difference in our effort to ensure that no young person experiences homelessness again because of their sexual orientation or gender identity. We are committed to creating a world where all young people can be their true selves and are truly grateful to have AEG join us in making that vision a reality." According to research conducted by Chapin Hall at the University of Chicago, LGBTQ young people are 120 percent more likely to experience homelessness than non-LGBTQ youth. Additionally, it is estimated that approximately 7 percent of youth in the United States are LGBTQ, while up to 40 percent of youth experiencing homelessness are LGBTQ. Headquartered in Los Angeles, California, AEG is the world’s leading sports and live entertainment company. With offices on five continents, AEG operates in the following business segments: AEG Facilities, which is affiliated with or owns, manages or consults with more than 150 preeminent arenas, stadiums, theaters, clubs and convention centers around the world including STAPLES Center, The O2 Arena, the Sprint Center and the Mercedes-Benz Arenas; AEG Presents, which is dedicated to all aspects of live contemporary music performances, including producing and promoting global and regional concert tours, music and special events and world-renowned festivals; AEG Real Estate, which develops world-class venues, as well as major sports and entertainment districts like STAPLES Center and L.A. LIVE; AEG Sports, which is the world’s largest operator of sports franchises and high-profile sporting events; and AEG Global Partnerships, which oversees worldwide sales and servicing of sponsorships including naming rights, premium seating and other strategic partnerships. Through its worldwide network of venues, portfolio of powerful sports and music brands, AXS.com ticketing platform, AXS cable television channel and its integrated entertainment districts, AEG entertains more than 100 million guests annually. More information about AEG can be found at www.aegworldwide.com.